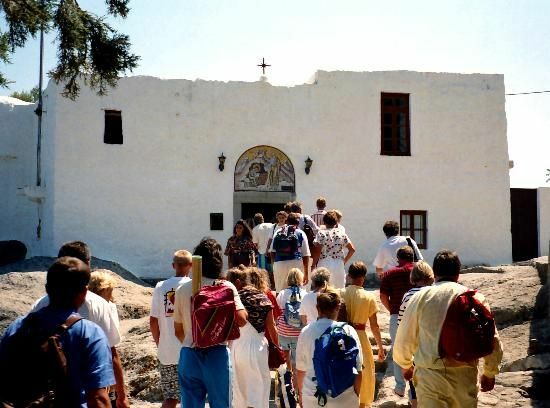 The Orthodox Monastery of St. John the Divine (Aghios Ioannis o Theologos or Saint John the Theologian) in Patmos, is one of the most important religeous sights of the world. 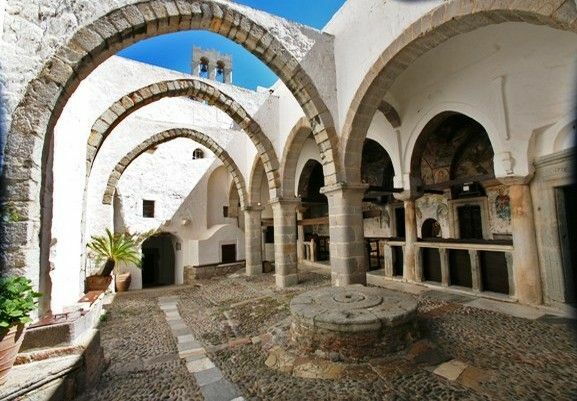 Visiting this monastery and its Treasury (Museum) is a unique experience, not only because of its impressive history, its building, its precious exhibits and its atmosphere, but also because of the stunning views of Patmos island that can be admired from its terrace. 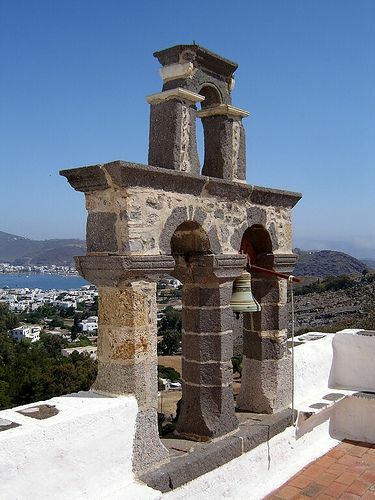 In 1088, the island of Patmos was given to the soldier-priest Ioannis Christodoulos, "the Blessed", by the Byzantine Emperor Alexios Komninos. 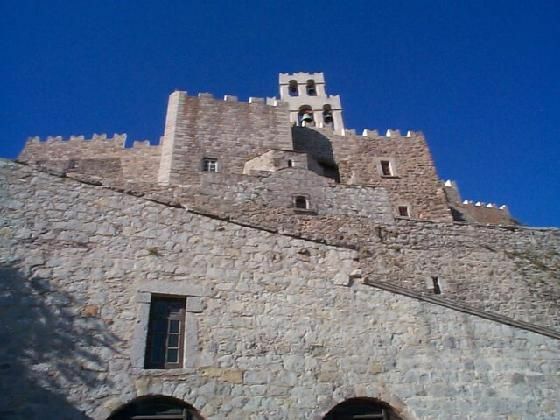 The main part of the monastery was completed by Christodhoulos in 3 years. 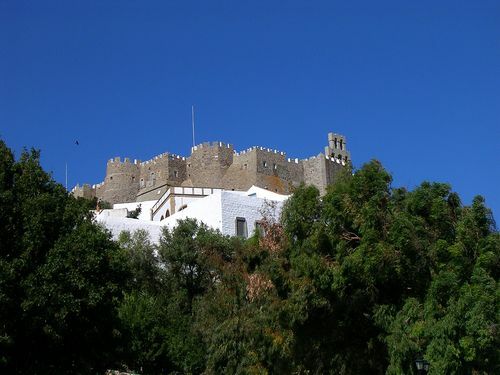 It is a fortrees-like monastery, in order to be protected by pirates and the Seljuk Turks. 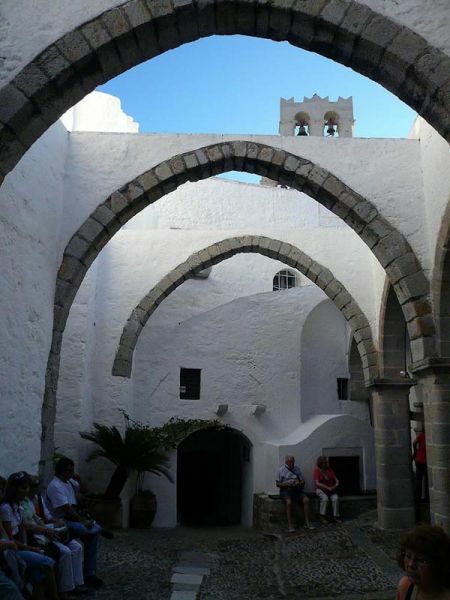 It consists of interconnecting courtyards, chapels, stairways, arcades, galleries and roof terraces. 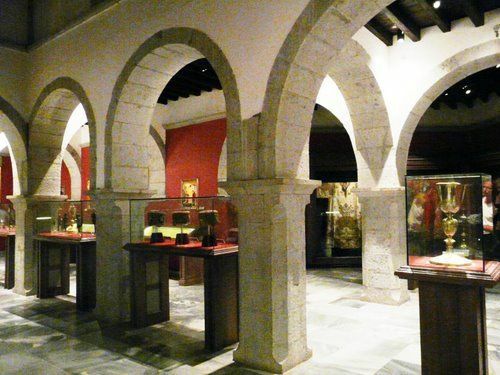 In the same sight there used to be an ancient Temple of Artemis, which was destroyed in the 11th century. 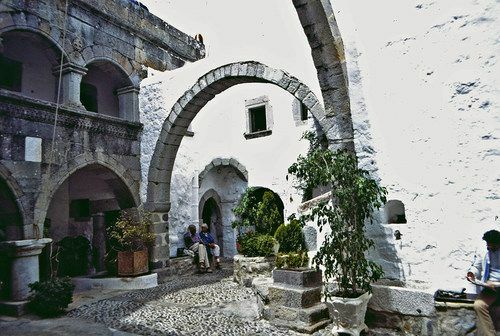 Its fragments are now hidden in the monastery's walls. 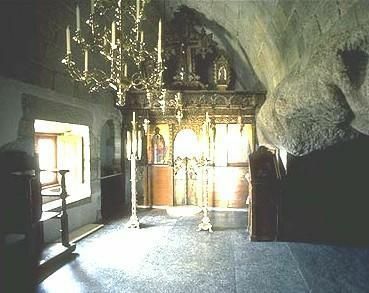 There are two lovely chapels in the monastery: The Main Chapel and the Chapel of Theotokos. 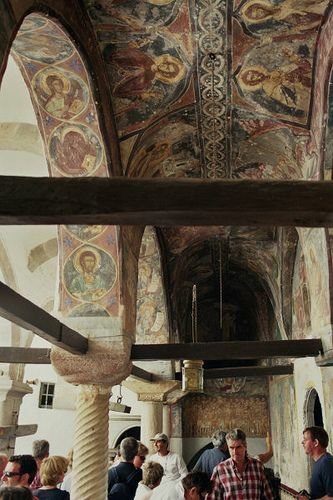 The latter has impressive frescoes dating from the 12th century. 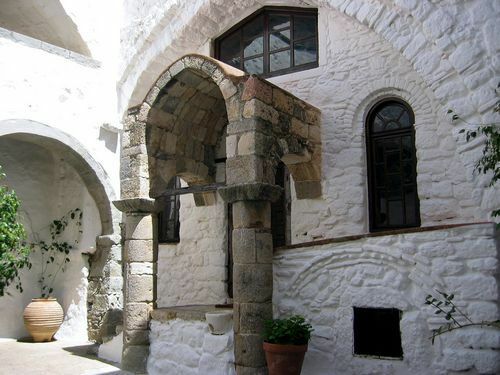 The Monastery's Treasury houses an impressive collecion of priceless religious artifacts, mainly icons of the Cretan school. 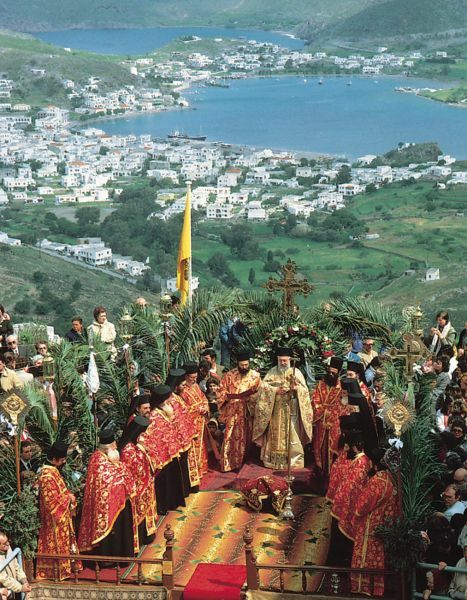 The most important exhibits are, a mosaic icon of Saint Nicolas (Agios Nikolaos) and a parchment granting the island to Christodhoulos (11th century). 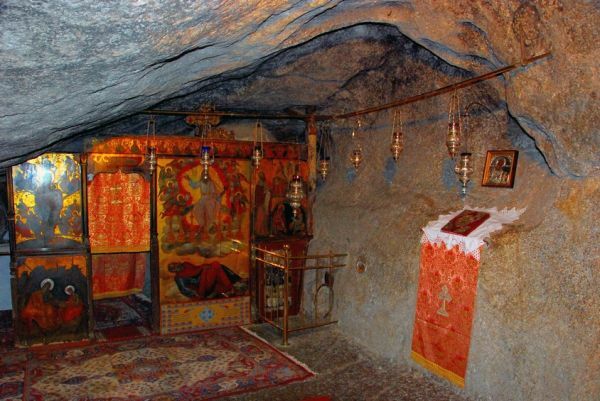 The Cave of the Apocalypse (Apokalypsis), found there is the very place where St. John is believed to have received his revelations. 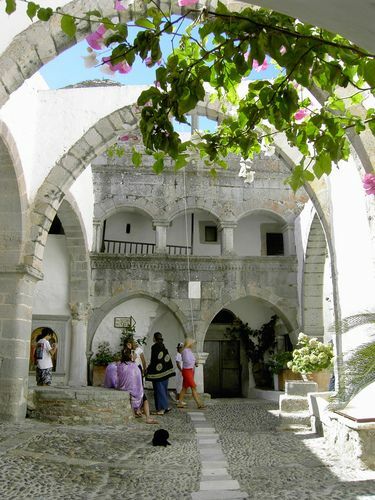 There is also the famous historic Patmiada, a state recognised Eclesiastic School, founded in 1713. 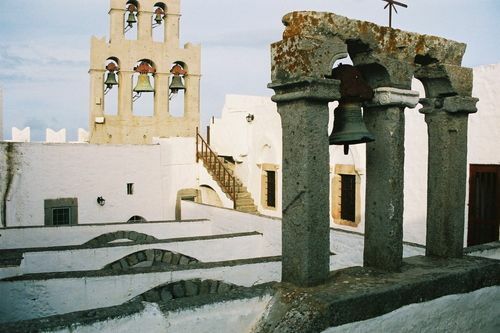 It served as an important center of the enslaved Greeks. 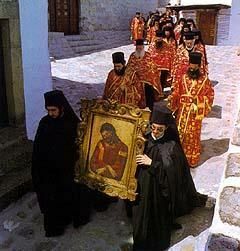 During the Greek Revolution against the Turks (1821), it operated as a seven-class religious school. Many religeous leaders have graduated from Patmiada. 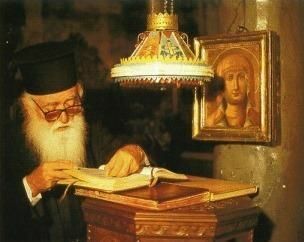 There is still a men's monastic community in the monastery, under the jurisdiction of the Ecumenical Patriarchate. 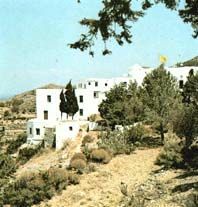 LOCATION: Saint John's Monastery is found in Chora. 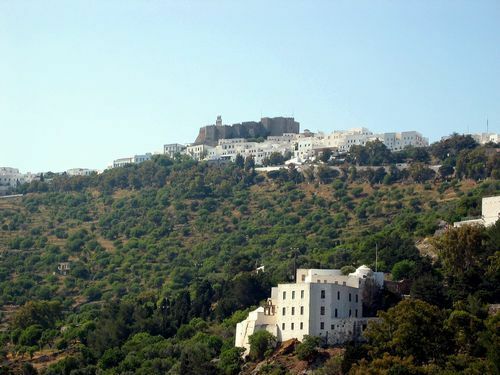 The Apocalyspis Cave (and Patmiada) is found in the middle of the main road from Skala (port) to Chora. There are regular bus schedules to both.